One of the best ways to get your guests interacting with one another at a party is to hire Portland photo booth rentals. 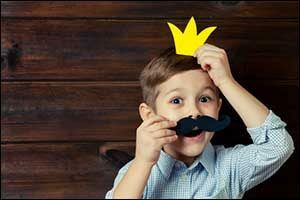 When you rent a photo booth in Happy Valley or anywhere else in the Greater Portland area, you don’t just get a great way to have pictures of your guests as they celebrate your special occasion, but you also get a source of entertainment and fun. Who doesn’t love jumping in the photo booth to take pictures with friends using exciting props and backgrounds? Your guests will be so thrilled that you got a photo booth rental in Oregon – they’ll be talking about it for weeks after the event is done! 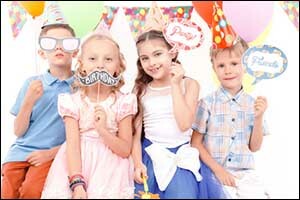 The best way to get a portable photo booth rental is to contact SnapZone Photo Booth. There is a wide selection of backgrounds, photo props, customization options, and more that you can use to create a fun and exciting opportunity for your guests. Choose from several basic packages and add-on extras that will help you really make the most out of your photos. 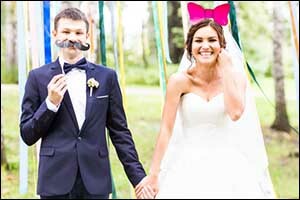 Green screen options, customized photo strips, unique props, and even social media photo booth options can make it even more interactive and memorable for everyone involved. You can even get stanchions and a red carpet to make it feel like a true celebrity event. Whether you are hosting a corporate party, promotional event, or a birthday in your own backyard, it pays to take advantage of the branding opportunities available at SnapZone Photo Booth. You can customize just about every aspect of the experience, add logos, dates, and other items that will help your guests remember the experience. This is a great marketing opportunity for businesses and product manufacturers, but it is also a fun tool for private clients as well. Imagine having the information about your birthday, wedding, anniversary, retirement, or other celebratory events, along with the date included in on all of the photo strips that your guests will receive after visiting the portable photo booth rental. It’s a great way to go over the top with photos, beyond anything a hired photographer could produce for you and your guests. Another fun option that you can get with your Portland photo booth rentals is the ability to share photos. With the deluxe and premium packages, you can get free access to digital copies of all photo strips and pictures taken during your party, providing you with high-resolution photos. You can also collect images in an online gallery that can be set to either public or private, allowing you to share photos with guests via password address. 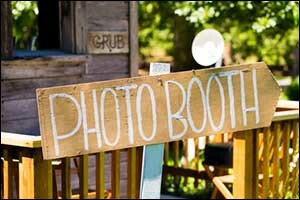 It is also possible to collect photos taken at the party with a unique hashtag print station. Make sure to ask about the social media option as well, which uploads photo strips to Facebook, Twitter, and email instantly using the iPad Social Media Station. During the party, guests will be able to view all of the images taken via an ever-growing slideshow of photos from the portable photo booth rental. The last thing you want when you get a photo booth rental in Oregon for a special event is to get photos that are poor in quality. SnapZone Photo Booth uses high-quality equipment, including high-resolution DSLR cameras and professional studio strobe lighting, to get the best pictures possible of you and your guests. Our high-resolution cameras allow us to provide you with the option to print photos up to 24 inches by 36 inches without losing any quality. Fast instant prints are also available that will dazzle your guests. We use professional dye sublimation printers, so your photo strips and digital printers are available within moments after a visit to the photo booth. Choose from color, black-and-white, or sepia during each visit to the photo booth for a larger variety of options in all of your images. The best part about getting your picture taken in a photo booth is the photo booth props. Everyone loves putting on the feather boas, oversized glasses, and silly signs. Create custom signs for your special event and choose from a range of props to include for your guests to use throughout the event. When you rent a photo booth in Happy Valley or anywhere in the Greater Portland area, make sure to get all of the fun and exciting extras that you want include with your portable photo booth rental package. If you are interested in learning more about Portland photo booth rentals or want to inquire about everything included in a social media photo booth, give us a call at 503-207-2020. Our team will help you choose the best package for your event, whether you are entertaining family and friends for a birthday celebration or are expecting hundreds of guests for a corporate or non-profit function. Call today for a FREE estimate on all of our portable photo booth rental options in the Greater Portland area at SnapZone Photo Booth.